This website presents the most accurate evaluation of the effects of speed cameras on road safety, without any opinions or politics (so far as that is possible). Research is based on data obtained from official sources (such as the Department for Transport and speed camera operators) and everyone can therefore verify all the information for themselves. There is a serious problem with official evaluations of speed cameras. Collision rates at speed camera sites are influenced by several factors and the largest of these factors is an effect called RTM (regression to the mean). Official reports, though, have been unable to fully separate the effect of speed cameras from the effect of RTM and, as a result, no official report has managed to establish the effect of speed cameras on road safety. The RTM effect is therefore the focus of research presented in this website. RTM is actually a very simple effect which occurs because sites where speed cameras now operate were often selected following a higher than normal collision rate. The collision rate would therefore tend to drop back to normal afterwards, even without any speed cameras. This "return towards normal" (the change that would have occurred anyway) is called RTM. To address the issue of RTM, I developed the FTP (Four Time Periods) method which is capable of both measuring the RTM effect and completely excluding the RTM effect from results. I applied the method to mobile speed camera site data in Thames Valley to produce the world's first report in which the final results do not include any of the RTM effect. This should therefore be the most accurate report on the effects of speed cameras to date. 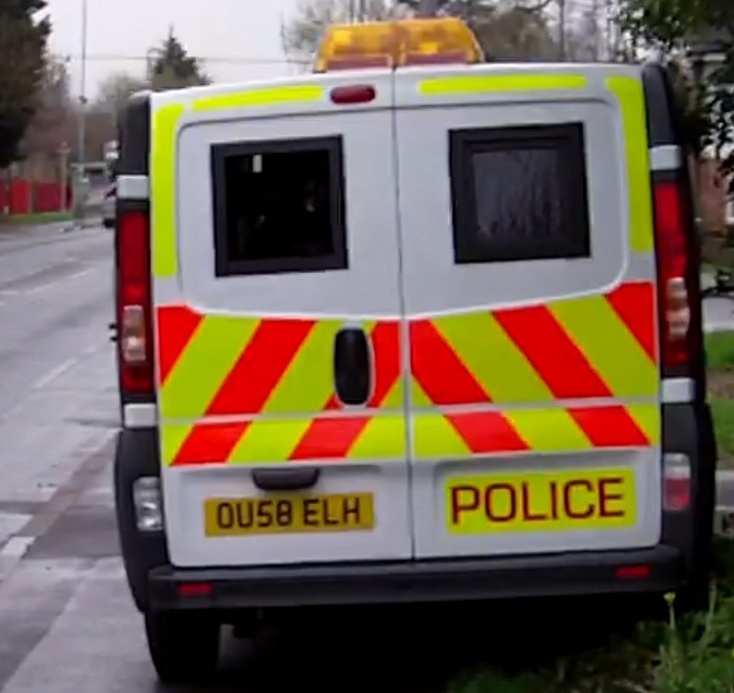 The FTP method has since been endorsed by the head of statistics at the DfT and, in his 2013 report for the RAC Foundation, Professor Richard Allsop recommended that researchers should use the FTP method when analysing the publicly available speed camera site data. The RAC Foundation report also included an example showing how to apply the FTP method although, in the example, the FTP method was not applied accurately and RTM effects were therefore not fully excluded. In order to provide the highest quality of evidence, speed cameras must only be operated within scientific trials which should take the form of RCTs (Randomised Controlled Trials). All trials should conform to a national standard so that the results can be combined into a national evidence database. In this way, the effects of speed cameras could be demonstrated and quantified scientifically. Another new policy should be adopted to ensure that area-wide effects of speed cameras are independently monitored, analysed and reported. When I first looked into speed cameras it was just for my own personal interest. I naturally expected to find that they did improve road safety safety and had no idea that what I discovered would lead to such detailed investigations. I read many official reports which showed that vehicle speeds were lower and there were fewer collisions of all severities at the speed camera sites. Speed cameras did appear to be beneficial except that I had one concern. While it is clear that speed cameras reduce the speed of traffic, I noticed that none of the official reports established that it was the speed cameras that caused the reductions in collisions. I therefore chose a speed camera site at random and emailed the organisation that ran them to ask what caused the crashes. The answer to this prompted further investigation quickly leading to a surprising discovery. If I were to install speed cameras with the intention of preventing collisions, I would first ask the question "how many of the collisions involved a vehicle that was exceeding the speed limit?". I can find no evidence that anyone involved with speed cameras thought to ask this question! When someone is killed or injured in a road traffic accident, the Police are required to investigate why the accident occurred but back in 1993 (when speed cameras were first used) Police accident report forms did not include "exceeding the speed limit" as a factor to be investigated. The authorities did eventually add "exceeding the speed limit" but not until 2005, after over a decade of speed camera operations. The Police found "exceeding the speed limit" to be a factor in fewer than 8% of all KSI collisions (killed or seriously injured) across the whole of Great Britain. This means that the vast majority (over 92%) of even the most serious collisions occur when drivers are not speeding. I put together a page that includes the most relevant official information I could find regarding the role that speeding plays in accidents (with reference to using speed cameras to address this) and the page includes where the information came from. Don't take anyone's word for it, check for yourself from the official government sources. The RCT (Randomised Controlled Trial) is a scientific trial designed to determine the effect of an intervention in a complex environment. The road network, with millions of people using it every day in many different ways, is a complex environment (and a speed camera is an intervention) therefore the RCT has been designed for exactly this sort of purpose. So what are the effects of speed cameras when these trials are run? I was surprised to discover that no speed cameras have ever been operated within scientific trials anywhere in the world, yet the trial is simple. I wrote this page to explain it. The 4YE (Four-year Evaluation) is the British government's largest and most comprehensive speed camera report and it states that, at the speed camera sites, "42% fewer people were killed or seriously injured". But here's the puzzle: how can speed cameras cause a 42% reduction when fewer than 8% of these collisions involve a vehicle that was speeding in the first place? The answer to this puzzle is actually in the 4YE, but it is very well hidden. It turns out that the speed cameras did not cause the 42% reduction because most of that reduction would have occurred anyway, largely due to an effect called RTM (regression to the mean). The 4YE shows that the speed cameras had, at best, a relatively small effect and that they may not have saved any lives, or prevented any serious injuries whatsoever. This is surprising. 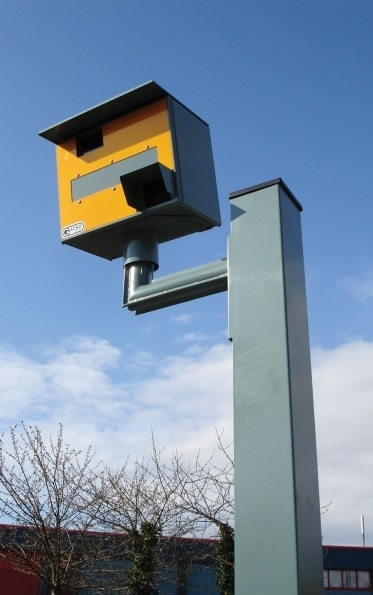 The 4YE is considered to be the foundation of the entire speed camera programme in Britain, yet the evidence it contains suggests that no genuine benefit may have been achieved. I wrote this page to explain the evidence presented in the 4YE but don't take anyone's word for it, check for yourself from the official government source. There would be no need to consider the RTM effect if scientific trials had been run but, in the absence of those trials, we need to understand RTM in order to separate speed camera effects from RTM effects. It is clear from the above government report that, largely because of the RTM effect, the number of fatal and serious injuries at the speed camera sites would have reduced dramatically anyway, without any speed cameras. Collisions are basically random events so the number of them on each stretch of road tends to vary up and down. If a section of road had a higher than normal number of serious collisions (perhaps just 1 or 2 more unfortunate random chance incidents) in previous years, then this is unlikely to reoccur in the following years and the numbers will therefore tend to reduce. This reduction is referred to as RTM and it occurs whether speed cameras are deployed or not. Therefore a reduction in the number of collisions on roads where speed cameras operate tells us nothing about what effect the actual speed cameras had. In all of the official reports I have read, I have yet to find one that has successfully excluded the RTM effect from the results, even though this is quite easy to do. I wrote a page to explain RTM, along with how to measure and fully exclude its effect, in order to find the effect of the actual speed cameras. The speed camera programme is the largest and most expensive road safety policy ever implemented by our authorities so we might expect to have seen the largest change in road safety across the country after the speed camera programme started and as it expanded. And we do. The trend in fatalities per billion vehicle miles (probably the most important road safety indicator) clearly changed when speed cameras started to be used, but it went the wrong way. The first 10 years of speed cameras saw the worst road safety improvements on British roads since the 1950s and the situation only really started to recover in about 2007 (when the economic crisis started). Something clearly went seriously wrong with road safety as more and more speed cameras were deployed, but was it the speed cameras that caused the problem? Don't take anyone's word for it, check for yourself from the official government data. In 2009, councillors in RBW&M requested that I investigate the effectiveness of their speed cameras so that this could be taken into consideration at their council meeting. At this meeting, councillors were to decide whether to continue paying £200,000 per year to TVSRP (Thames Valley Safer Roads Partnership), the organisation that operated the speed cameras, to pay for the running costs of the 29 speed cameras at 13 locations in RBW&M. TVSRP stated "... the casualty reduction record is impressive with a 44% drop in recorded injury collisions" so I simply plotted those collisions on a graph. It was discovered that around half of that drop occurred 2 years before the speed cameras were installed, and the other half over 6 years later. Speed cameras are not magic, they cannot go back in time and prevent collisions when they weren't there so they could not have caused the reduction 2 years before and, if they have failed to produce any reduction for 6 years, a reduction around 12 years after installation cannot be due to them. Further to that, the number of serious injuries went up. I could find no evidence that the 29 speed cameras in RBW&M had achieved any improvement whatsoever but don't take anyone's word for it, check for yourself from the official data supplied by TVSRP. This is my first major report and it investigates the effect of all of the speed cameras in Thames Valley on the number of collisions that resulted in death or injury at the speed camera sites. It includes all 212 fixed speed camera sites – within which there are 359 Gatso-type speed cameras – and all 105 active mobile speed camera sites that had been operating for two or more years at the start of 2009. Speed cameras have not made any impact in preventing road traffic collisions. There was no reduction in the number of collisions at fixed (Gatso) camera sites after they were installed and there was no reduction in the number of collisions at mobile camera sites after they started operating. Even after compensating for other influences such as rising traffic volumes and safer vehicle design, the cameras are still not demonstrated to have resulted in any reduction in collision rates. In fact, collision rates increased at mobile speed camera sites following deployment relative to all roads in the Thames Valley area. There was found to be no relationship between vehicle speeds and the number of collisions. Reductions in speeds at camera sites (both average and above the speed limit) did not result in any reduction in the number of collisions. This is the world's first speed camera report in which the final results do not include any RTM effects. The evidence suggests that the policy of using mobile speed cameras has contributed to more collisions, more serious injuries and more deaths on the roads where they operate. Overall, the decision not to perform scientific trials, and the subsequent failure of official reports to demonstrate that they have completely excluded the effects of RTM from their results, has resulted in there not being any good quality evidence that speed cameras have produced a positive benefit for road safety. Reducing vehicle speeds using fixed speed cameras has no impact in improving road safety. Fixed speed cameras do not save lives and do not prevent serious injuries. Fixed speed cameras are not demonstrated to have reduced the number of collisions. All information presented here is believed to be accurate and presented honestly. If any errors are found they will be corrected as soon as possible. Contact me here: Dave Finney.